This is States Rights Clarno Unit. This is the Tape Cover. Katy Davidson steered the good ship Dear Nora for years and a couple years ago she decided that it was time to retire that vessel. In the meantime there was Lloyd & Michael the excellent project with Marianna Ritchey. Songs built up and jamming with friends happened. There was a new feeling, a new vibration, a new band! Key Losers is the brand new band by Katy Davidson and States Rights is so proud to present the first release by Key Losers, Adjust. All new things take adjustment and this mini-album is here to work through those issues with you. 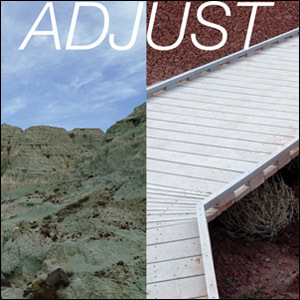 Adjust is emblematic of the general concept of transition. It takes its time in places, but also changes tone. It explores the ideas around alienation derived from capitalism. 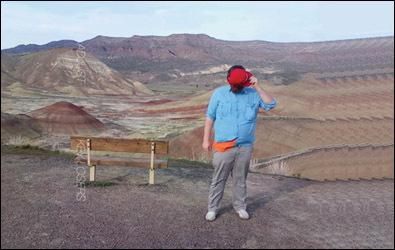 The sound is spacious and psychedelic with pop beauty reaching through the high desert small town dust. Adjust comes in new formats for States Rights Records let me tell you ITS EXCITING. You can get it as a very limited edition TAPE with MP3s for 6 bucks. OR you can get Adjust as a POSTER with MP3s for 6 bucks. Its a very handsome poster that is 13" x 36". Finally you can get the TAPE & POSTER & MP3s for 10 bucks. Time to Adjust.